It is understandable that you are eager to start learning everything you can and get going. This lesson is useful to familiarise yourself with some of the common forex terms and trading jargon. Do not worry about memorising each term, or even understanding them straight away. This lesson is something you can constantly refer back to. There is a lot of information within this lesson and so you might find it beneficial to print this. The first thing that you will notice when we introduce you to forex trading is that we refer to what is called a currency pair. When you think about the price of anything, it is pretty easy to grasp because there is one single price. For example, when trading Oil, the price quoted is the price per barrel of Oil. When trading gold, the price quoted is the price per one ounce of Gold. When it comes to forex, we also refer to just one price, only it is with regard to two different currencies – a currency pair. This can seem a little confusing at first, so we will explain how there is one single price for a pair of currencies. When we trade currencies, we are buying and selling a currency in relation to another currency. For example, you do not just buy the euro; you buy the euro with a certain amount of another. So, if you are holding US dollars, you will buy the euro with a certain amount of US dollars. This is a pair of currencies and is denoted as EUR/USD. Let’s also say that the price of the EUR/USD is 1.4. This means that the cost of 1 euro is 1.4 dollars. In other words, for every euro you buy, you have to pay 1.4 dollars for it. The price of the EUR/USD is the exchange rate of how many units of the second currency in the pair is needed to buy a single unit of the first currency in the pair. So the exchange rate of 1.4 for the EUR/USD means that 1.4 dollars are needed to buy 1 euro. If the US dollar gets stronger, this is another way of saying that a smaller amount of the US dollar is able to buy more euros. However, because the US dollar has become stronger and is denoted with the relationship to the euro as the second currency in the currency pair, the price of the EUR/USD decreases. So if the EUR/USD goes down to 1.3, then the US dollar has increased in value against the euro – the dollar has become stronger and the euro has become weaker. Therefore, if the price for the EUR/USD goes down to 1.3, it means that for every euro you want to buy, you now only need to pay 1.3 U.S. dollars for it. You do not have to have US dollars to buy the EUR/USD. You can start out with British pounds and buy the EUR/USD – your pounds are converted into US dollars, which are then used to buy the euros. The first currency in the pair is called the base currency – it always has a value of 1. The second currency in the pair is the quote currency and is the amount needed to exchange into 1 unit of the base currency. You will find that we refer to pips throughout the lessons. A pip is a measurement of how far the price has moved. It is an acronym for the phrase “percentage in point”. If you think of the exchange rate of the pound and the dollar (GBP/USD), you might think of it as say, 1.57, where only two units follow the decimal point. However, in the foreign exchange markets, this is broken down even further and we observe the price as 1.5700. 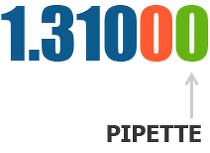 The last number – the last 0 – is the pip. If the value of that currency pair moves from 1.5700 to 1.5701, it has moved by a single “pip”. You can see there is a difference between the price of 1.2999 and 1.3001 – 2 pips. This is what is called the spread. The spread is therefore the difference between the price at which the broker is willing to buy off of you and sell to you. By buying off of you at a lower price and selling at a slightly higher price the broker makes money. A chart is the visual representation of the price action and you use this for your analysis. It is what you use to observe the exchange rate or price of a currency pair over a period of time. On a price chart, the price of the currency pair is on the vertical axis on the right hand side (the exchange rate of how many units are needed of the second currency in the pair to buy one unit of the first currency in the pair). The time is on the horizontal axis on the bottom. The charts we use throughout our learning material are Japanese candlestick charts. A Japanese candlestick is a method of illustrating the price movement. They tell us a certain amount of information. First of all, the candlestick can tell whether the price has moved up or down, simply by the colour. 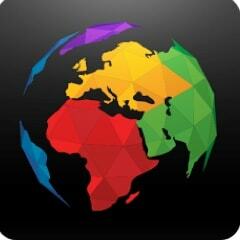 Any colour can be used and the colour is set by the trader depending on their personal preference. The colour will change automatically as the candle either forms as a bearish or a bullish candle. Candlesticks can cover almost any time period from one minute to one month. On a one minute chart, each candlestick takes one minute to form. After one minute, the candle will finish forming and then a new candle starts to form. On an hourly chart, each candle takes an hour to form and so on. The candlestick also shows us the opening price and the closing price for that period. So if we are observing a four hour candlestick, then the candle can tell us the opening price at the start of that four hour period and the closing price of that four hour period. Lastly, a candlestick shows the highest and lowest price within the time that the candle took to form. So if observing a four hour candlestick, then you can see the highest price and the lowest price for that four hour period. We mostly teach you how to trade using the platform MetaTrader 4 (MT4). However, different platforms are used by different brokers. 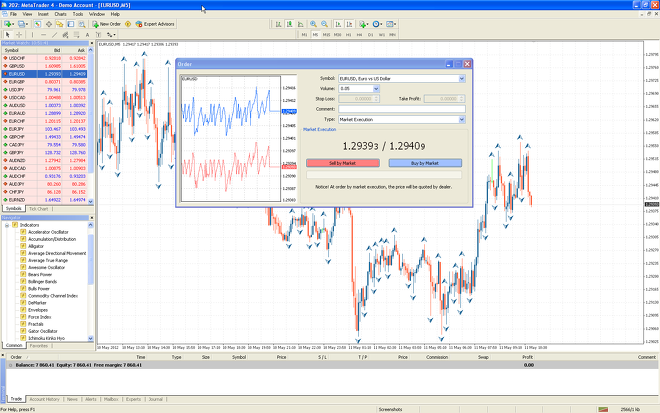 The image above is of MetaTrader 4 showing the order window where you input all the information above. Almost all trading platforms offer very similar functions and most platforms will offer the kind of price charts you see above. This is a term we use to simply describe the item being traded. For example, when trading Oil, Oil is the instrument. 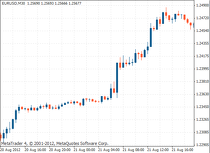 When trading the EUR/USD currency pair, EUR/USD is the instrument. We also refer to this as an asset. After having bought or short sold a financial instrument, you have opened a position. 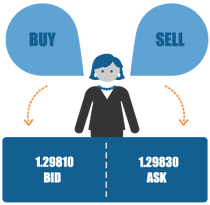 Therefore, buying and selling is sometimes called entering a position. It is the same as “entering the market”. When the trader exits the market, they are said to have closed their position. A stop loss protects you if the trade goes wrong. Let’s say you bought an asset and the trade does not work out and you start to lose money. As the price keeps going in the opposite direction to your trade, you could in theory lose your entire trading account. A stop loss is an order that will automatically close the trade once it has reached a point that you consider the loss unacceptable. A profit target is a price at which you decide to exit the market and take the profit that you have made. A profit target is generally determined ahead of time when the trader enters the market. This means that before you enter the market, if the trade goes well, you know how much money you will make on that trade. 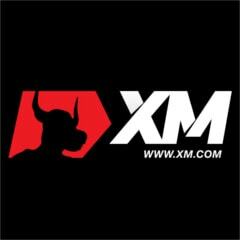 A bull is a trader that believes the market will rise. A trader having this opinion is described as “bullish” or being a “bull”. This term is used because when a bull fights, they use their horns in an upward motion – this is a useful way of remembering the term. A bear is a trader that believes the market will fall. A trader having this opinion is described as “bearish” or being a “bear”. This term is used because when a bear fights, they use their claws in a downward motion – this is a useful way of remembering the term. When we refer to something being long, we think of it as going up. A “long position” is when you have opened a trade and bought something. You may hear the term, “I went long at this price” or "I'm long at the moment". This means that the trader has entered a buy position. In forex trading, if the trader believed that the GBP/USD currency pair is going to rise, and they bought that pair, they would be described as "entering a long position". The concept of going long in trading is relatively straight forward. You simply click the “buy” button and then you enter into a long position. The price will either go up or go down – if the price goes up you make money – if it goes down, you lose money. If you think that the price will go down and you have not entered the market, you can also click the sell button and you will enter into what is called a “short sell” position. You have, in fact, sold something you do not own, to buy it back at a different price. So if you short sell an asset and the price goes down, you make money; if the price goes up, you lose money. Your broker will lend you whatever asset it is that you want to sell. You then sell that asset, the price of it changes and you buy it back. If the price went down, then you made a profit because you have made money by selling it at a higher price and then buying it back at the lower price. If the price goes up, then you have lost money because you have sold at a lower price and bought at a higher price. After the trade has been closed, whatever you have traded with is returned back to the broker. To put this simply: If you think the price will go up, you click buy (on your trading platform) and if you think the price will go down, you click sell (on your trading platform). The concept of short selling currency is different to short selling a stock. Spot currency is always traded in pairs. You always trade one currency against another currency. Going back to our example of the EUR/USD, if you go long on this pair, you are effectively buying the euro and selling the US dollar. Therefore if you go short, you are doing the opposite, you are buying US dollars (USD) and shorting the euro (EUR), which is effectively selling the EUR/USD. Another way to think about this, instead of buying EUR/USD, to go short you instead buy USD/EUR. When refering to the risk to reward ratio, this is essentially the ratio of how much you are risking on any single trade, to how much you make if the trade goes in your favour. So if you risk $10, then this is the amount of money you are prepared to lose. If the trade does not work out, you know exactly how much money you are risking and will not lose more than $10. If you are looking to gain $30, then this is the reward you are seeking and you think is achievable based on your analysis.